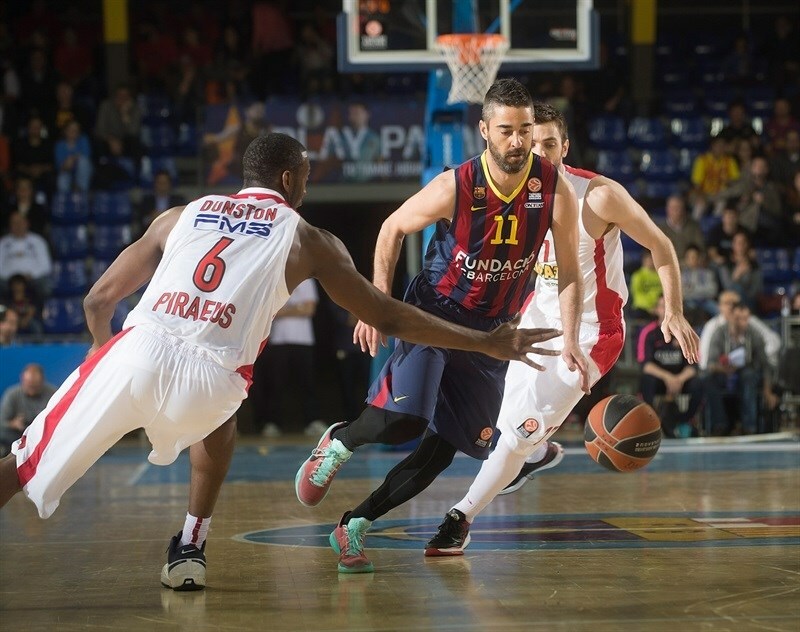 Olympiacos Piraeus bounced back from a Game 1 loss in the best-of-five playoffs series by downing FC Barcelona 63-76 on the road in Game 2 on Friday. The series is tied at 1-1, but Olympiacos now has the home-court advantage and hosts Games 3 and 4 next week. 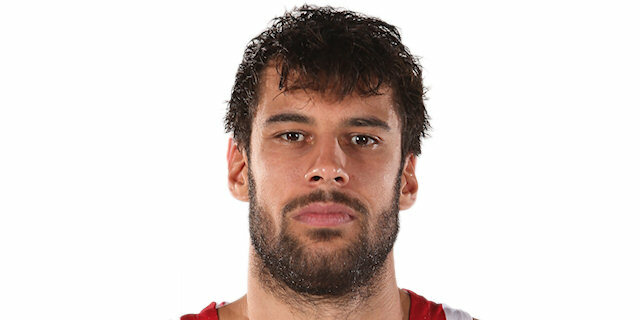 Georgios Printezis recorded one of the best games of his career to lead the Reds with 22 points and just 3 missed shots plus 9 rebounds. 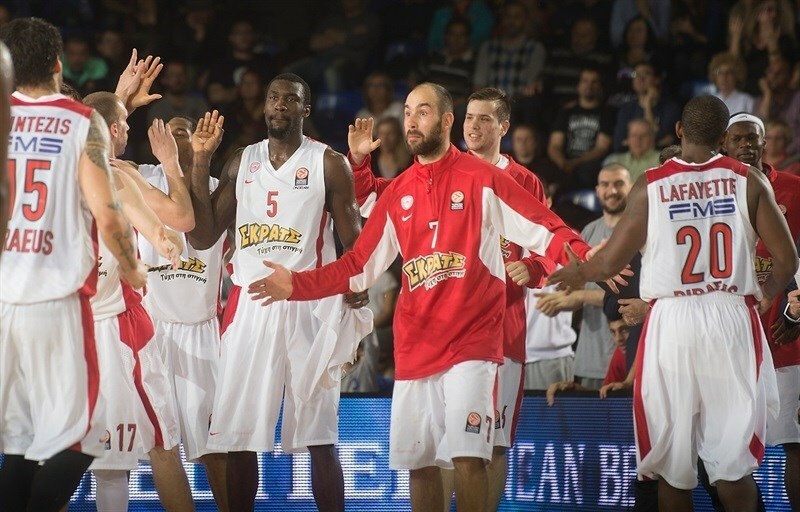 Vassilis Spanoulis added 16 points and 5 assists and Vangelos Mantzaris scored 12 for the winners. Olympiacos biggest weapon was its defense. 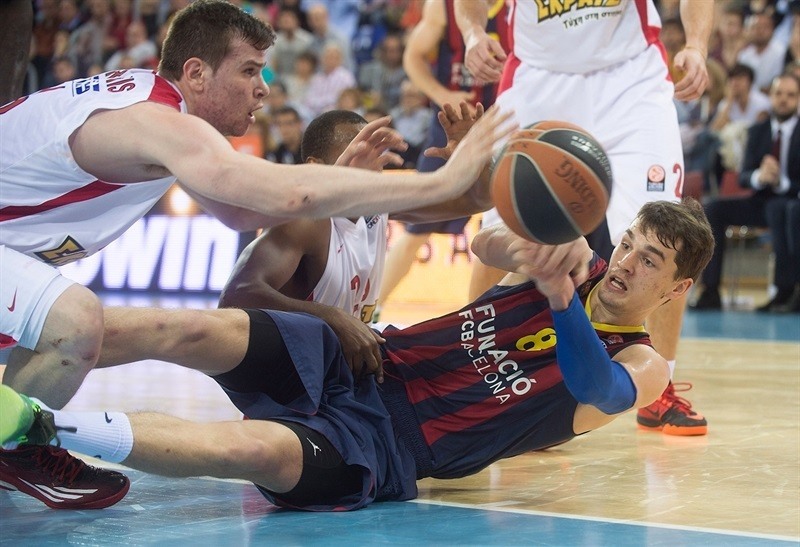 The 63 points it held Barcelona to tied the club’s record-low in the Euroleague Playoffs. Printezis and Spanoulis shined early to give Olympiacos a 3-9 lead. The Reds excelled on defense throughout the first quarter, shutting down their opponent, while Matt Lojeski and Othello Hunter kept Olympiacos ahead, 10-15 after 10 minutes. 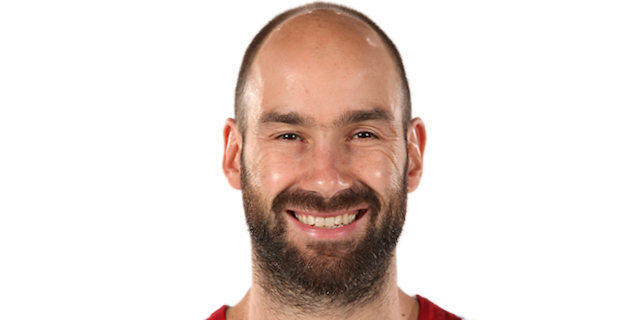 Three-pointers by Spanoulis and Oliver Lafayette soon made it a double-digit game, 10-21, and an outstanding Printezis gave Olympiacos a 15-29 margin midway through the second quarter. Juan Carlos Navarro brought Barcelona within 25-35 at halftime - the least points by the hosts in a Euroleague home game at the break since March 2006. A rain of three-pointers by Mantzaris, Spanoulis, Printezis and Lojeski saw Olympiacos improve its margin to 45-56 after three quarters. 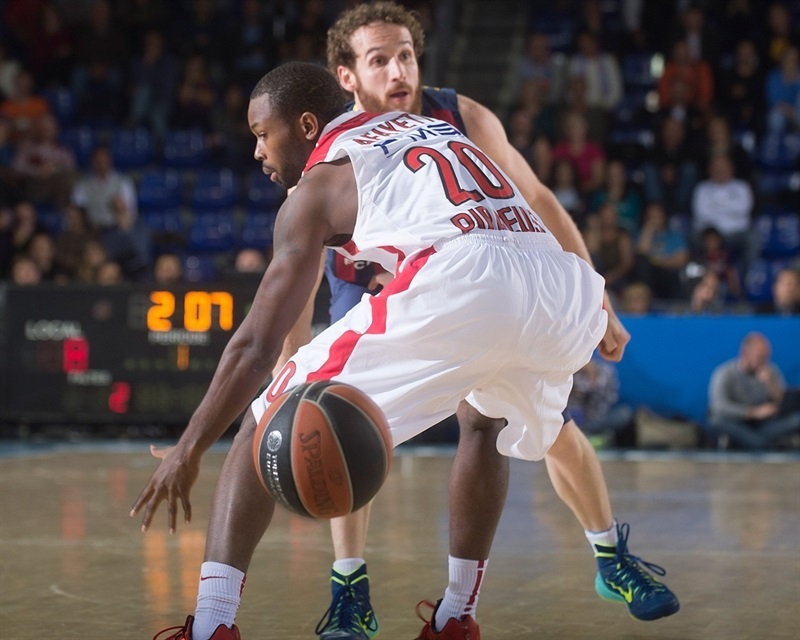 Hunter and Mantzaris boosted the guests' lead to 50-68 and Olympiacos kept full control until the final buzzer. 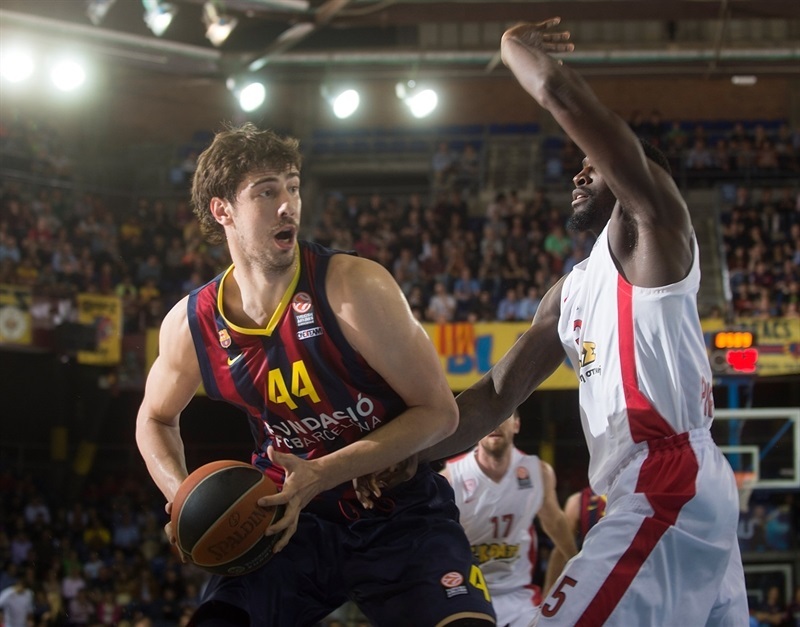 Navarro paced the Barcelona attack with 16 points and Ante Tomic tallied 14 points and 14 rebounds. 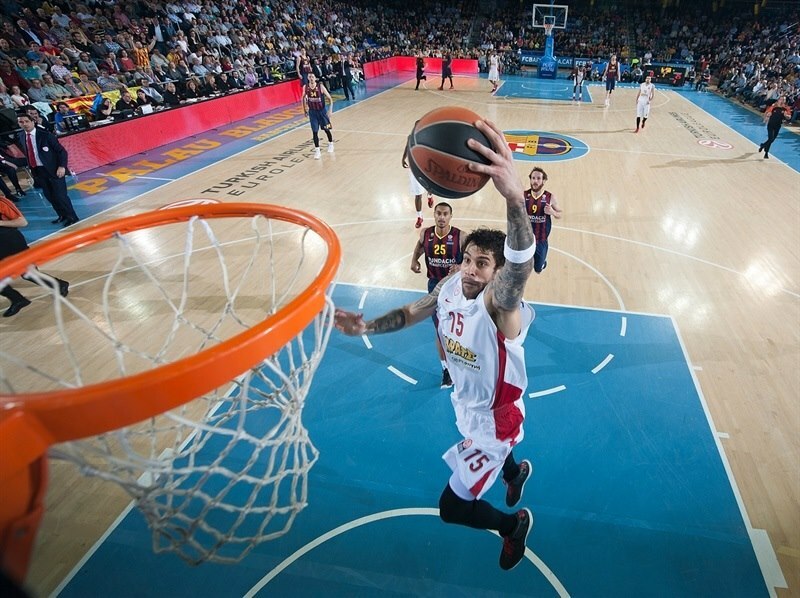 Vangelis Mantzaris got Olympiacos going with a three-pointer, as the Reds held Barcelona scoreless in the opening 2 minutes. A layup by Printezis gave the guests a 0-5 lead. Navarro swished a big triple of the dribble, but unlike in Game 1, Olympiacos controlled the defensive board and the game tempo. Printezis hit an off-balance jump hook, which Spanoulis followed with his trademark driving layup for a 3-9 Olympiacos lead. 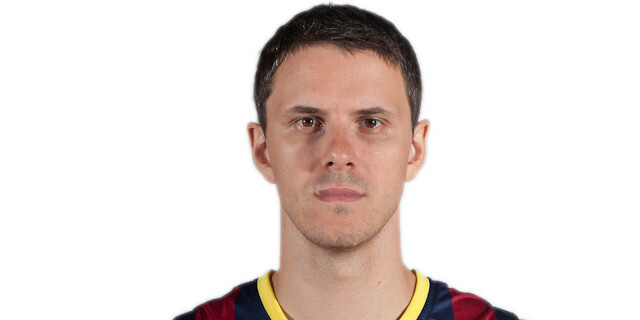 Tomic stepped up with an up-and-under layup and free throws by Maciej Lampe got Barcelona within 7-9. Spanoulis found Othello Hunter for a two-handed slam and nailed a stop-and-pop jumper himself to restore a 7-13 Olympiacos edge. Tomas Satoransky split free throws, but a one-handed jumper by Matt Lojeski made it a 7-point game. 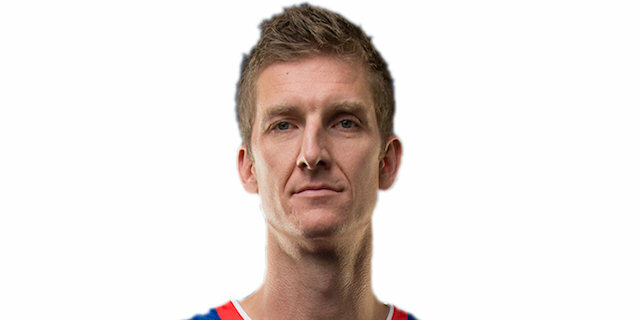 Tibor Pleiss hit foul shots to bring the hosts a bit closer, 10-15, after 10 minutes. 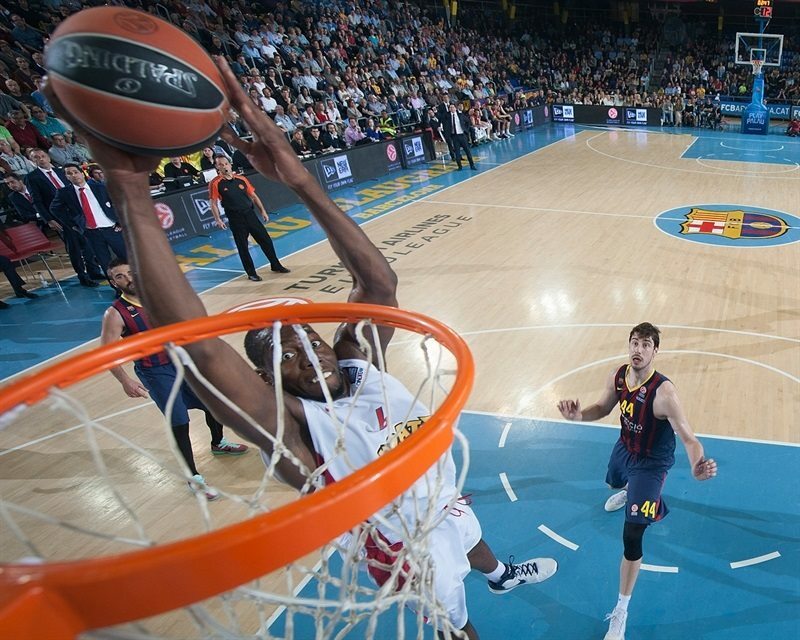 Barcelona kept struggling to score early in the quarter, while Spanoulis and Oliver Lafayette buried back-to-back three-pointers off a screen, which caused the hosts to stop the game at 10-21. Edwin Jackson beat the buzzer - and ignited the crowd - with a wild triple. Printezis hit a jump hook off the baseline and a layup by Hunter boosted the Reds' lead to 13-25. Printezis dunked off a midcourt steal, but Navarro matched it with a driving basket. After Printezis banked in a close shot, Lampe scored down low and free throws by DeShaun Thomas and Satoransky brought the hosts within 19-29. Bryant Dunston took over with a wild alley-oop slam and a big block on Tomic. 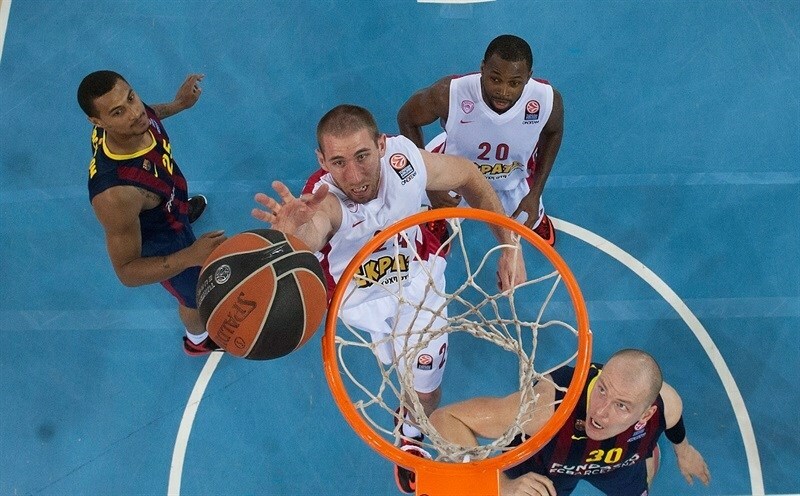 Navarro nailed a step-back three-pointer to get Barcelona within single digits, 22-31. Printezis answered from downtown and Lojeski split free throws, but Navarro insisted from beyond the arc to fix the halftime score at 25-35. Satoransky scored around the basket immediately after the break, as Barcelona improved its defense, backed by a noisier crowd. A layup by Lampe soon brought the hosts within 29-35. A jumper by Tomic caused Olympiacos to call timeout at 31-35. Printezis stepped up for Olympiacos with a running hook and a floating jumper. Tomic scored around the basket, but Mantzaris did better with a three-pointer for a 33-42 advantage. 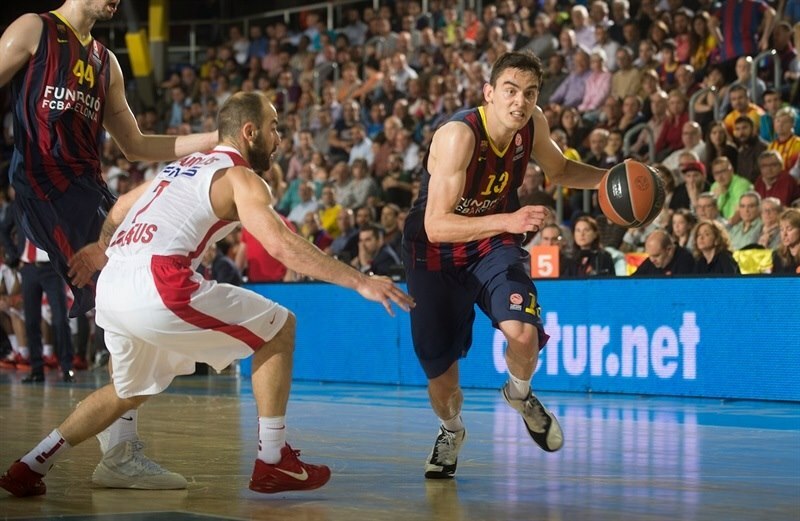 Satoransky made free throws and a 'bomba' by Navarro brought Barcelona within 37-42. Spanoulis nailed a triple and improved Tomic's jump hook with another bomb from downtown that gave Olympiacos fresh air at 39-48. Marcelinho Huertas banked in a close shot and hit a one-handed floater, but three-pointers by Printezis and Lojeski caused the hosts to call timeout at 43-54. Navarro hit free throws, but Kostas Sloukas hit his trademark jumper off the dribble to give Olympiacos a 45-56 cushion. Hunter scored down low early in the quarter, but Mario Hezonja immediately answered with a three-pointer to make it 48-58. Hunter insisted with another layup. Huertas scored in the paint and an off-balance triple by Mantzaris silenced the crowd at 50-63 with over eight minutes left. Printezis beat the shot clock buzzer with a turnaround jumper and a three-pointer by Mantzaris boosted the guests' lead to 50-68. 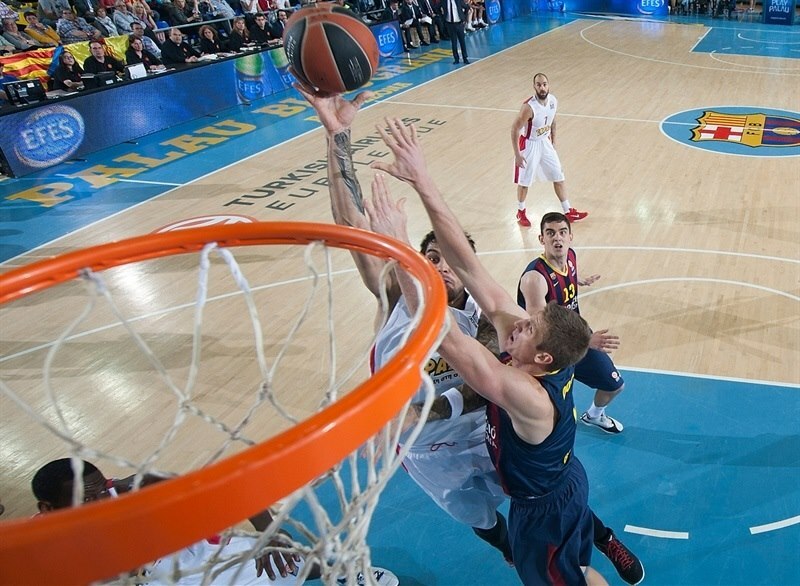 Navarro answered from downtown and a backdoor layup by Tomic gave Barcelona hope at 55-68. But Olympiacos kept running the clock down with long possessions and Lojeski finished one of those with a three-pointer that sealed the outcome, 55-71, with under four minutes left. 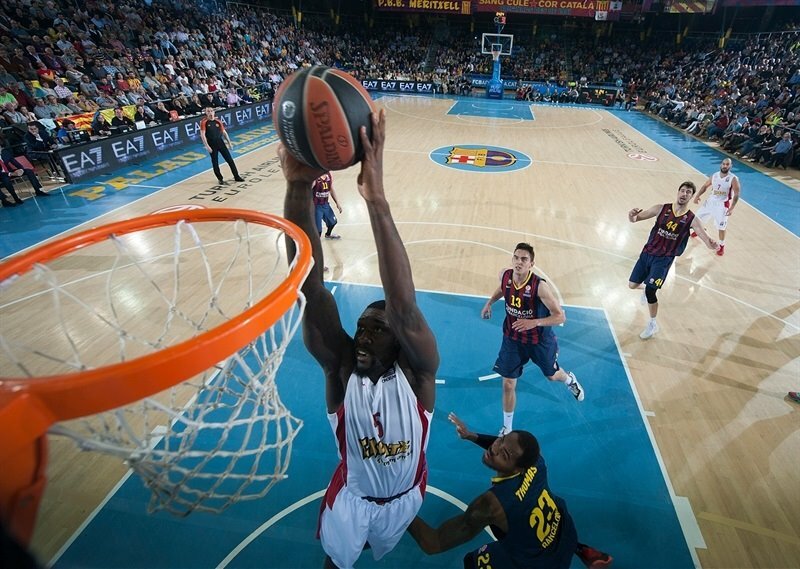 Tomic dunked, but it was already too little, too late for the hosts. 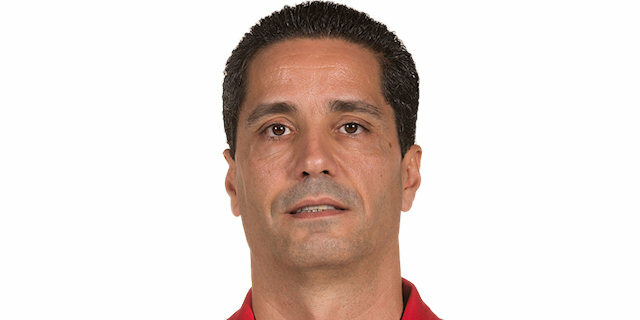 "Congratulations to Olympiacos for its win and thanks to our fans from being by our side. Olympiacos was much better than us and took us out of the court with their physicality and high level of contact. They put a lot of pressure on the ball and double teamed most of our players. We didn't circulate the ball, only 7 assists is horrible for us. They broke the game in the first half and we didn't have the physical and mental balance we needed; we missed free throws and layups to finish the first half with a low score. We carried that in the second half even when we played a bit better. We didn't match their physical level and that, together with their three-point shooting percentage, decided the game. We talked before the game and knew this could happen. We were the better team in Game 1, but knew they would come out with really high intensity and strong contact level. We didn't find answers because, among other things, this is part of who they are as a team. We didn't impose our passing game and creativity. It was hard for us and we didn't find the right balance in offense and defense. Oleson balances our game at both ends and every game he was sidelined during the season, it was hard for us to play. Not having him, as well as having Justin Doellman off an injury is tough. Justin in trying to help us, but is not at his best physical level. Some other players have to step up - some of them had the chance to do it today but didn’t do it. 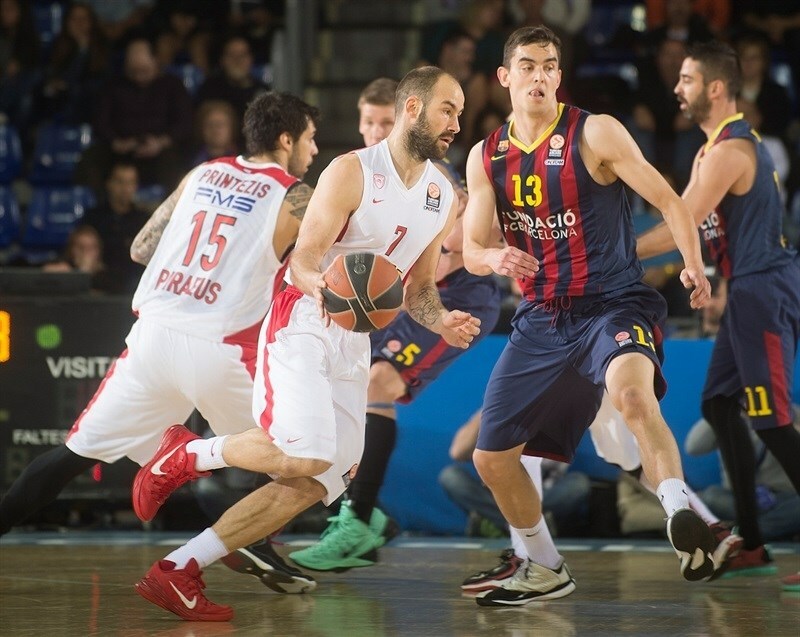 Spanoulis had a good game, and leads Olympiacos in all aspects of the game. He was very good in one-on-one situations and was a key player, just like Printezis." "It was one good game for our side. We are not happy with the way we played in Game 1, it hurt our sport ego. We changed our mentality from one game to another and fought from the beginning until the end. That is the main difference; we were focused and ready to fight for every ball. We were the better team on the court from the beginning until the end and deserved this win tonight. The biggest proof is the numbers; we won all periods, had 20 assists and just 8 turnovers, with good shooting percentages. I think we deserved this win 100%. 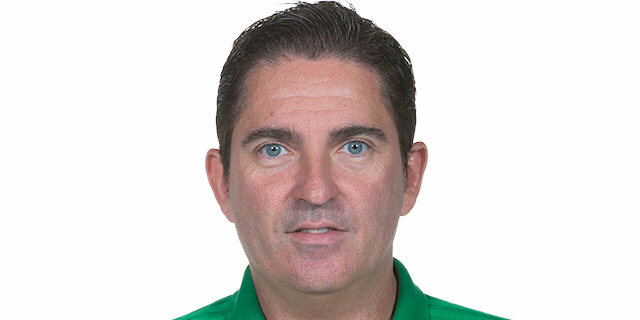 For that reason, I want to congratulate my players and on the other side, I want to say that my players are experienced enough to know that we just won one game. The series continues and we need to stay focused. This is the biggest thing for us – to stay focused for the next games in the series. Barcelona has proved all season and all these years that they can win in every court. They will try to react after the game. Printezis played a very crucial role. He is an experienced player, a key player for us. He helped the team defensively and offensively, also with rebounds. I don't want to highlight one player - all of them helped us win tonight. We have a team in which we count on all players and believe in them all. In a good game, any player can push the team and help it win. It was Printezis and Spanoulis tonight, but next time it could be somebody else. It was a team win and that is most important for me. We kept Barcelona, a good offensive team, which averages 86 points at home, to just 63. This is teamwork." "We don't look at the point-difference. It is 1-1. Obviously, they have players who won a lot and know how to play in tough situations, like being down 0-1 in the series. They came back strong, definitely had more energy and more flow than we had today. And that cost us a game. I think offensively we were just not on point, you can see that by us scoring only 25 points in the first half. Their defense was good, but we just did not move the ball well, did not look for good situations. They made some defensive adjustments. But that's what happens in a long series. Teams adjust, come up with different game plan. Now it is up to us to go to Piraeus to change things up again and try to win Game 3." "Olympiacos came out and played very intense tonight. We expected that, but unfortunately did not play well. The series is 1-1, basically like it started at 0-0. Now we got to go to Piraeus to play well, and hopefully we can get couple of wins. We knew going into this series that it will be a battle. They are a good team, we are a good team, and hopefully we can win. That's the main thing." "We changed our game dramatically, for the better. The most important thing is not to have feelings or emotions, whether you lose or win. It's a big battle that only finishes when you get three wins. Every game is different. Every game is important. The most important thing is that one more time, like the last few years, we showed great character. It's very difficult to come back and to play this kind of game after the bad game we had two days ago. This shows our character, our mentality, how we approach the game and how strong this club is." "We improved a lot of things, but we won only one battle, and we have to continue. It's a long series, Barcelona is a very good team, especially away. So we have to forget this now and continue in the same way. Today it was me. Next day it will be somebody else. At Olympiacos, that's the way we play. We won the game by defense, and we just played like Olympiacos today."